(PRLEAP.COM) Are you ready for Earth Day? Monday, April 22 is officially Earth Day. Will you be doing anything special for the planet for the day or maybe starting an eco-conscious habit? 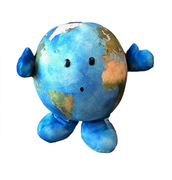 At Celestial Buddies, we are helping to raise the awareness of protecting our planet with our new plush planet. 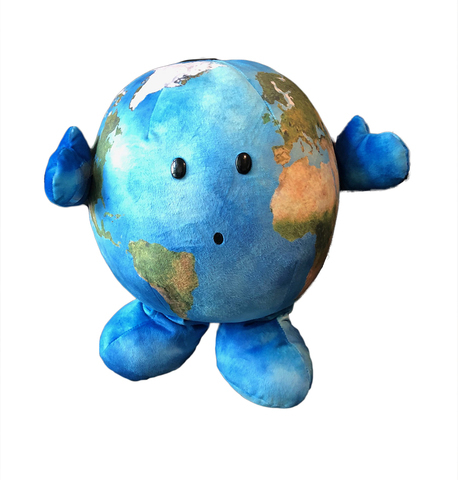 The newest addition to the Celestial Buddies Galactic Gang is Our Precious Planet (MSRP $24.99), a large (9" diameter) detailed version of Earth designed to help start a conversation about the climate and all of the ways mankind impacts the environment. Jon Silbert, VP Sales of Celestial Buddies, explains, "Celebrating Earth Day can be both a super fun and life changing event for children and their parents. As everyone learns more about Our Precious Planet and the challenges it faces, they can start to do more to protect its environment. Even little things like turning off lights when leaving rooms; shutting off the water while brushing teeth; and separating trash for recycling, are all easy ways to develop good habits that will help to keep Our Precious Planet… and our children's future… safe." Since the founding of Earth Day in 1970, the world gains more environmental awareness each year. "With younger generations growing up with green habits as the norm, we're pleased to add support to that message with our new Precious Planet Buddy," Silbert said. Consistent with the Celestial Buddies mission to both enlighten and delight, this Special Edition Buddy is a reinforcement of eco-conscious actions as well as a gentle introduction to some very complicated but also very important subjects like climate change. "As an educational toy company, we wanted to provide a way for families and educators to help promote healthy discussions with children," Silbert explained. Like all of the Celestial Buddies, Our Precious Planet comes with an educational hang tag that provides useful information about its representation. Our Precious Planet joins the line of 15 different Celestial Buddies plush educational toys, including a Black Hole bag that carries all of the Buddies. Through both careful selection of fabrics and decisions regarding size, shape and features, the company designs each Buddy to stay true to its unique variations. in order to create an artistic interpretation of each celestial body. The products are sold around the world online as well as in museums, gift shops, science centers, planetariums, and specialty stores in North America, Europe and Australia. For more information, visit www.celestialbuddies.com and interact with the company on Facebook, Twitter and Instagram.